Stackable Mink lidded Jewellery box with soft Mink coloured faux suede lining. Stackable Mink lidded jewellery box with grey velvet lining. 25cm x 18cm x 3.5 cm (approx 10 inches x 7 inches x 1.5 inches). 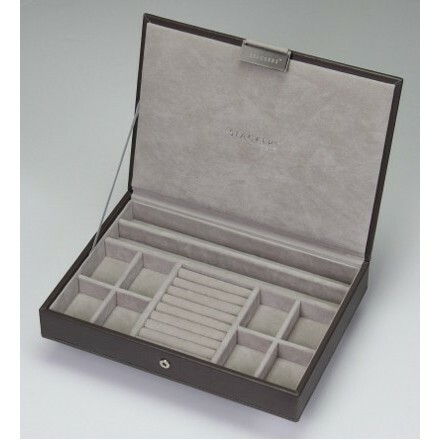 Stackable lidded mink jewellery box with grey velvet lining. 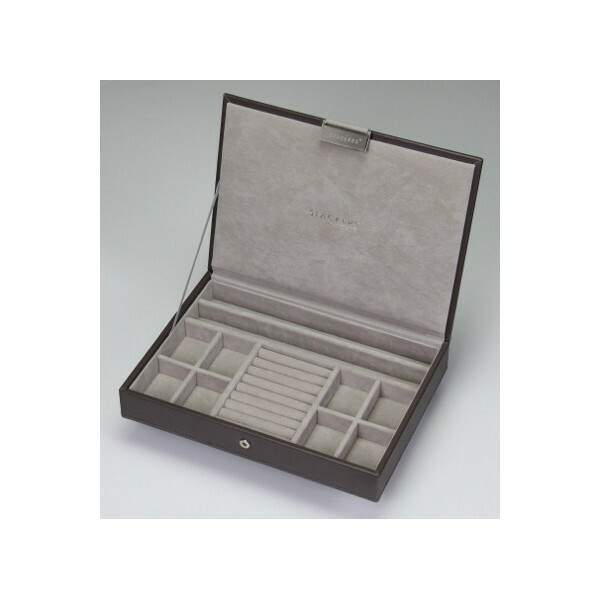 The jewellery box and the stackable trays also available in this range, enable you to store your jewellery whilst creating the ideal jewellery box for your needs. Each box is designed to sit neatly and securely on top of one another, with various interior layouts to choose from the combinations are endless. Mix and match the two colours for an eclectic look. Suitable for rings, chains and most types of types of jewellery, it can also be used as a travel jewellery box.